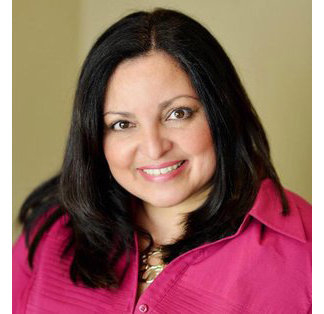 Dr. Lupita Fernandez was born in the U.S. Commonwealth of Puerto Rico, where she received her education. She earned her Bachelor’s degree in biology and her Doctorate of Dental Medicine from the University of Puerto Rico School of Dentistry. Dr. Fernandez is fluent in both Spanish and English. Since moving to Washington State in 1994, she has been in private practice in Seattle, Arlington and Mount Vernon. Dr. Fernandez is committed to growing with her profession and attends continuing education courses so her patients can benefit from the latest advancements in dentistry. She is also committed to her community, volunteering her professional services in Project Homeless Connect Skagit mobile dental unit, which delivers free dental care to underprivileged people. Dr. Fernandez places a high value on providing excellent patient care with warmth and compassion. She lives with her husband and daughter in Arlington, and enjoys spending time with family and friends, decorating amazing cakes, swimming, and exploring the beautiful Pacific Northwest. Dr. Fernandez’ professional affiliations include the American Dental Association, Washington State Dental Association, and Mount Baker District Dental Society.